Bilinteriør, møbler, skinnjakker, kofferter og Håndvesker, Hesteutstyr , Sports utstyr…og mye mer! 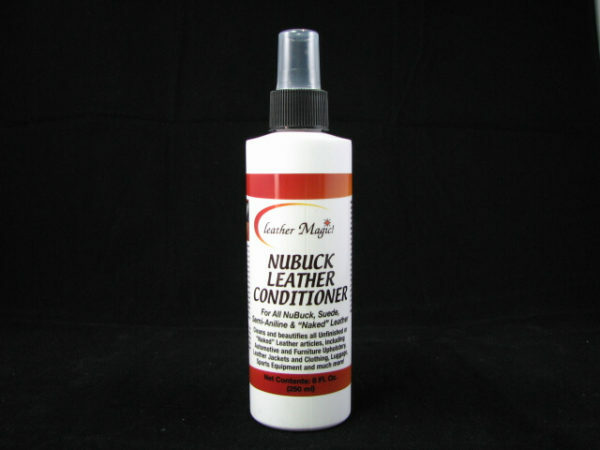 Leather Magic NuBuck Leather Conditioner protects leather from cracking and premature aging, by providing the essential oils and lubrication that it needs to remain soft and supple. It is made from glycerines and the finest oils and penetrates easily into the fibers of leather providing natural lubrication to keep the fibers from breaking and tearing under friction. Contains no Heavy Oils or Animal Fats which can damage leather. Leaves no oily residue. Will not stain leather when properly applied. Use Leather Conditioner regularly to keep your leather looking and performing its’ best. Directions: Shake well. 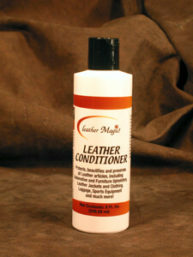 Make certain that the leather is clean before applying conditioner. 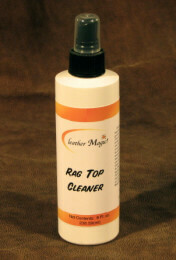 Clean the leather first by using Leather Magic NuBuck Leather Cleaner. Apply the conditioner by spraying a fine mist over the entire area. Brush the area until dry. Always test NuBuck Leather Conditioner on a hidden area before general application. May slightly darken light colored leather.